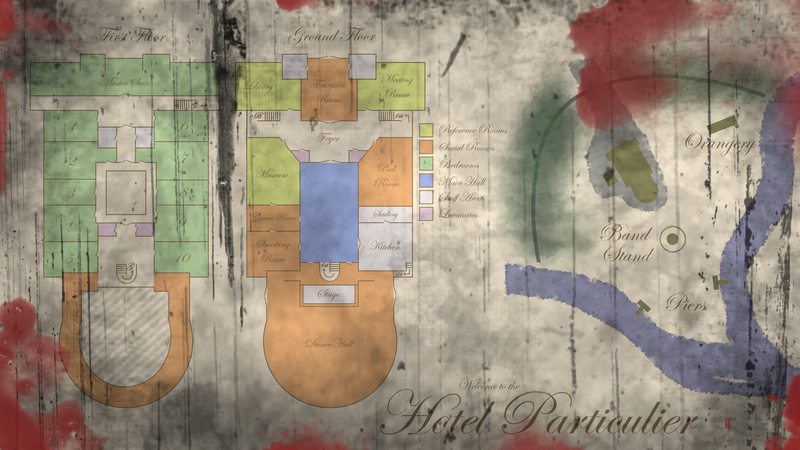 This is the Hotel Particuleur, the home of Beauregard Rousseau and his disgusting party. The mansion appears derelict from the outside, but nestled in the fork of a river in the North of the Sohu Peninsula is a source of unimaginable evil, and revelry. 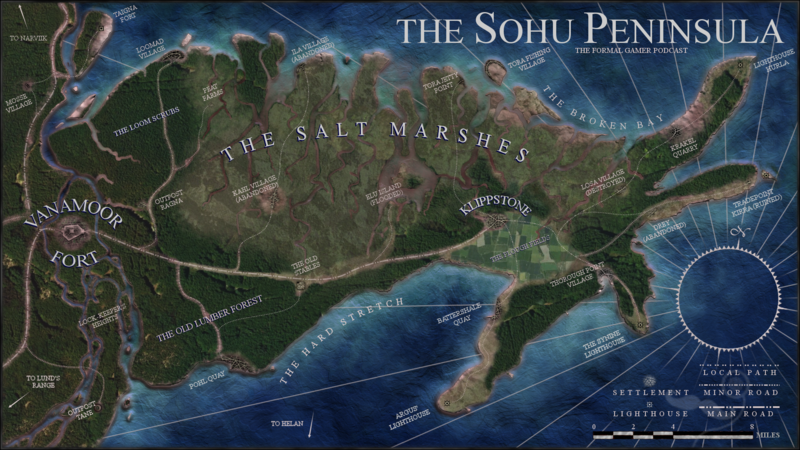 The Sohu Peninsula was the location for the Second Season of the Formal Gamer Podcast, where Grot and Dante searched for the Golden Ball. From the town of Klippstone, to the harrowed port of Battershale and the hidden secrets of the Black Market the Sohu Peninsula is full of secrets, evil, and terrifying beasts.